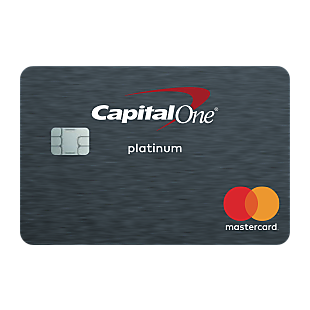 If you're looking to get your credit back in line, the Capital One® Platinum Credit Card is a good choice for you. This card will help strengthen your credit for the future with responsible card use. First, you'll pay no annual fee, and you'll get access to a higher credit line after making your first 5 monthly payments on time. You'll have fraud coverage if your card is lost or stolen, use online banking to access your account, even from your smartphone with our mobile app. You'll pay by check, online, or at a local branch, all with no fee - and pick the monthly due date that works best for you, and get access to your account 24 hours a day, 7 days a week. Secured cards are a good way to get your credit back on the right track. 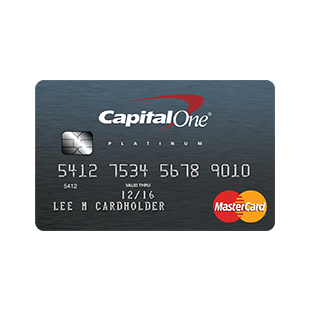 The Capital One® Secured Mastercard® has no annual fee, and all the credit building benefits with responsible card use. Unlike a prepaid card, it builds credit when used responsibly, with regular reporting to the 3 major credit bureaus. Your minimum security deposit gets you a $200 credit line, and you may qualify for a credit line increase based on your payment history and creditworthiness with no additional deposit required. You can easily manage your account 24/7 with online access, by phone, or using our mobile app. It’s a credit card accepted at millions of locations worldwide, so no usage restrictions beyond your credit limit. Cash advance is 26.99% (variable). 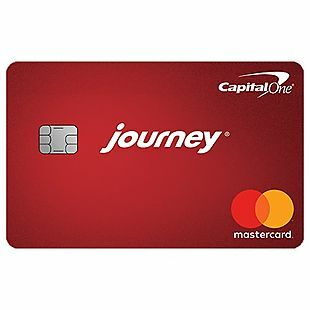 With Journey® Student Rewards from Capital One®, you will earn 1% cash back on all your purchases. If you pay on time, you'll boost your cash back to a total of 1.25% for that month. There's no limit to the amount of cash back you can earn, and rewards won't expire for the life of the account. You'll also get access to a higher credit line after making your first 5 monthly payments on time. Pay no annual or foreign transaction fees, and get $0 fraud liability if your card is ever lost or stolen. Plus, pick the monthly due date that works best for you. The purchase APR is 26.96% (Variable). Earn a one-time $150 cash bonus when you spend $500 on purchases within the first three months from account opening with the Capital One® SavorOne℠ Cash Rewards Credit Card. 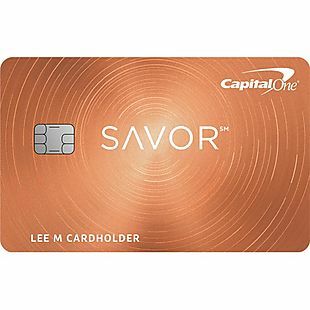 The card also gives you unlimited 3% cash back on dining and entertainment, 2% at grocery stories, and 1% on all other purchases. These categories don't rotate, and the cash back won't expire for the life of the account. There's no limit to how much you can earn. Receive a monthly statement credit for a Postmates Unlimited monthly membership through Dec. 2019 as well. Plus, there are no foreign transaction fees and no annual fee. There's a 0% intro APR for 15 months for purchases; 16.24% - 26.24% variable APR after that. 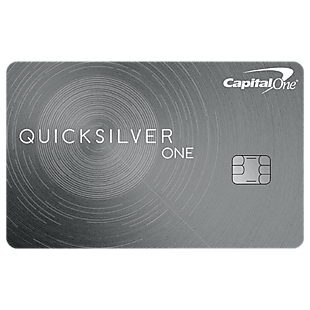 Earn unlimited 1.5% cash back on every purchase, every day with the Capital One® QuicksilverOne® Cash Rewards Credit Card. There are no rotating categories or sign ups needed to earn cash rewards; plus, cash back won't expire for the life of the account and there's no limit to how much you can earn. You can also get access to a higher credit line after making your first 5 monthly payments on time. Fraud coverage is available if your card is ever lost or stolen. Use online banking to access your account, even from your smartphone, with our mobile app. Help strengthen your credit for the future with responsible card use. The annual fee for this card is $39. Get a one-time $150 cash bonus after you spend $500 on purchases within 3 months from account opening when you apply for the Capital One® Quicksilver® Cash Rewards Credit Card. Earn unlimited 1.5% cash back on every purchase, every day. There are no rotating categories or sign ups needed to earn cash rewards; plus, cash back won't expire for the life of the account and there's no limit to how much you can earn. Pay no annual fee or foreign transaction fees. The APR is 0% for 15 months for purchases; 16.24% - 26.24% (Variable) after that. 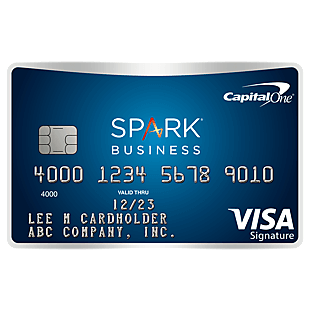 Earning unlimited 2% cash back for you business on every purchase, everywhere could mean thousands of dollars each year with the Capital One® Spark® Cash for Business card. Plus, earn a one-time $500 cash bonus once you spend $4,500 on purchases within 3 months from account opening. Use Spark Cash across all your business spend, with no categories to limit your purchasing. There's a $0 intro annual fee for the first year, $95 after that. Rewards won’t expire for the life of the account, and you can redeem your cash back for any amount. 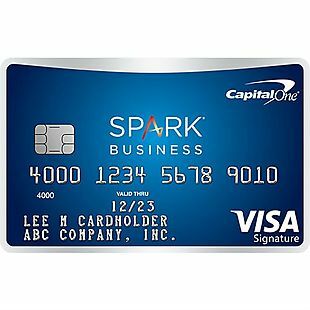 Get employee cards at no additional cost, and earn rewards from their business spend. The purchase APR is 19.24% (Variable). 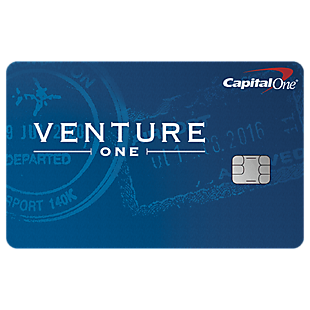 Capital One credit cards offer huge incentives for shoppers. 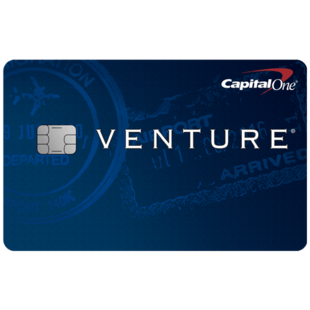 Personalize your card with your favorite pictures, enjoy $0 Fraud Liability if your card is ever lost or stolen, track your credit score in real time, fly free with any airline and earn cash back on all your purchases with their cash rewards system.